Posted byevelynscrackers	 December 8, 2014 December 8, 2014 Leave a comment on Heritage Grains. Why They Are Worth it. Unhulled Turkish bulgar wheat at the Slow Food Conference in Turin, Italy. One of the first cultivated wheats. Heritage grains may be the final cog in the wheel of the good food and sustainable farming movements. These special grains were bountiful leading up to the 1900’s and vital to westward settlements in North America. They were grown for their adaptability, nutritional value, animal feed and fermented for spirits. By the 1950’s the population transitioned from rural to urban communities, therefore changing the direction of food and farming. At the same time, micro-food communities were pushed aside by large agri-businesses and huge food chains monopolized hybridized wheat and limited the choices for the increasing number of the suburban consumers. Striving for the quick and convenient, food became overly processed and shelf-life won out over nutrition. Slowly these older varieties of grains, and much of the food our grandparents and great grandparents ate, became harder and harder to find. In the past 10-15 years, however, a new generation of farmers and advocates are finding ways to revitalize our food choices. Similar to the environmental movement of the 1970s, smart, dedicated individuals such as Michael Pollan and Joel Salatin offering insights for consumers and leading them away from foods grown on industrial farms. Huge online campaigns are forming (Top 20 local food advocates on Twitter link) where conscience eaters are demanding nutrient dense food grown by sustainable farms. As a result, it is becoming easier to understand the cost of industrial farming. Fruits and vegetables growers who use pesticides, fungicides and herbicides disturb the natural habitat of bees and contaminate of ground water. Documentaries are exposing poor animal husbandry that result in unappetizing caged chickens and sick feedlot cattle. What’s harder to see is is how modern wheat was bred to fit the needs of large scale farming. Heritage grains can offer everything that industrialized wheat cannot. 2. Sustainability. These older varieties adapt to their growing conditions. Seeds don’t have to be purchased from outside the farm they can be planted each year collected after harvest. Hybridized grains tend to lose vitality with a shorter life-cycle. 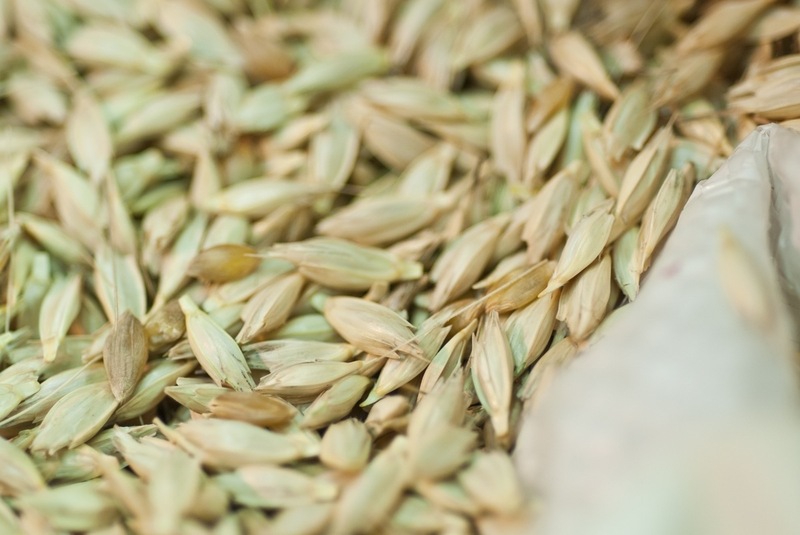 Heritage grains are an asset that stays on the farm, year after year. 3. Diversity. Food mono-cultures dominated by a single seed species can inhibit long-term agricultural diversity. Growing buckwheat, rye, barley, durum and spelt can offer so much more than a single crop of dwarfed wheat. The soil benefits greatly with crop rotation and seed variety. Nutrients remain in the soil, which lends itself to organic farming and offer more variety in our diets. Heritage grains connect us to a time were micro food communities were the only option, where you knew the person who grew your food, or you grew it yourself. We have the unique benefit of living in modern cities with modern conveniences that can offer connections to these special grains through a new breed of committed farmers. CIPM and K2Mill are our main grain suppliers. Look for heritage grains at farmers markets, through subscriptions to Community Supported Agriculture, food artisans and at farm-gate sales. Currently, we are using buckwheat, rye, durum, red fife wheat and spelt all grown and milled in Ontario.